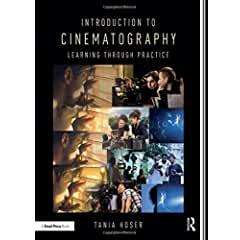 Focal Press has published Introduction to Cinematography: Learning Through Practice. This book offers a practical, stage-by-stage guide to the creative and technical foundations of cinematography. Building from a skills-based approach focused on professional practice, cinematographer and author Tania Hoser provides a step-by-step introduction for both cinematographers and camera assistants to the techniques, processes, and procedures of working with cameras, lenses, and light. She provides hands-on insight into negotiating with production constraints and understanding the essentials of the image workflow from shot to distribution, on projects of any scope and budget. - Strategies for both starting and progressing your career within cinematography and the camera department.